A puppy whose legs are deformed because it was locked in a tiny cage for months on end is looking for a new home after being rescued. Nine-month-old Ping has trouble walking as his legs were unable to form properly as he grew and vets believe he was locked in a tiny cage since he was a young pup. Ping was also 20lbs too thin when he was rescued by animal shelter Wags 2 Wishes after he was abandoned on the streets of Chicago, Illinois, USA, on May 1. 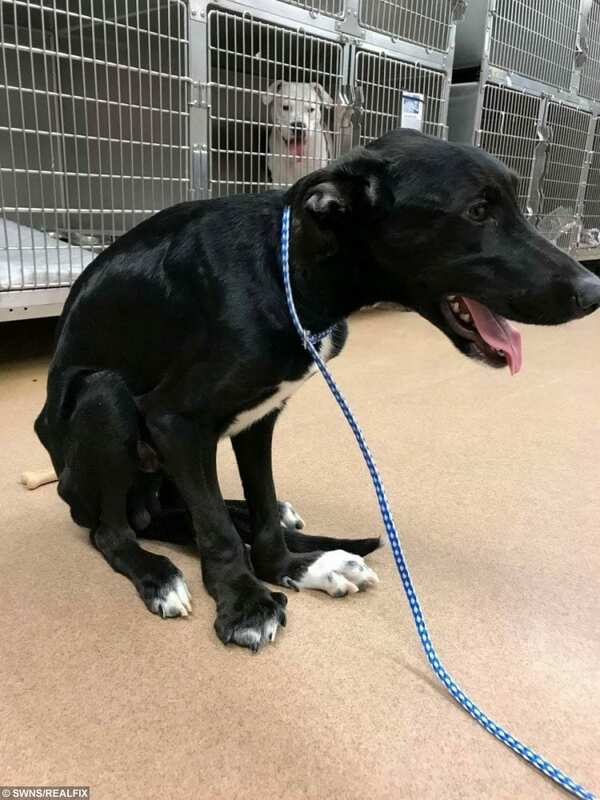 Terri Crotty, 46, the founder of the shelter, said Ping, a Border Collie/Labrador mix, is reluctant to use his hind legs as he is in so much pain. 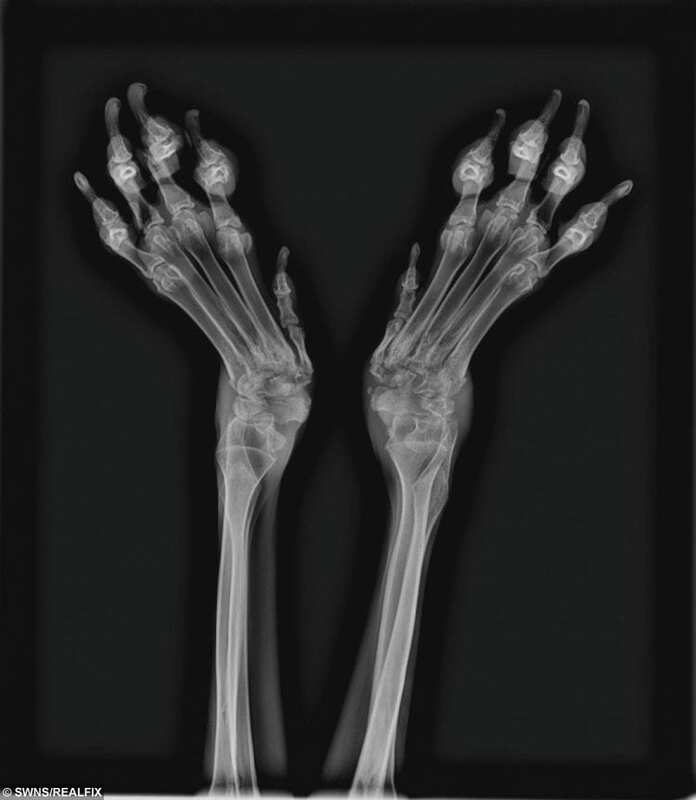 The dog can not walk on his paws as his bones and muscles were unable to form properly in the cage. But despite his difficult upbringing, the shelter is working to help Ping achieve more mobility. 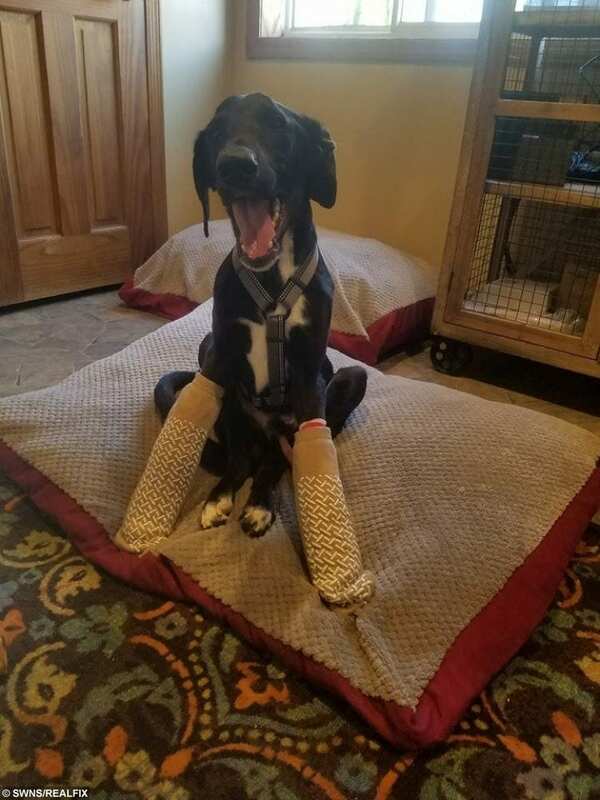 The dog currently has his front legs in casts to help fix his wayward bones and Terri is confident Ping will find a loving family to adopt him. Terri said: “The reason he is unable to walk, our vets believe, is that he was locked into a cage that was too small for him. “As he grew in the cage, his bones, muscles and ligaments were deformed. “For Ping, using his back legs is extremely painful and his front feet are deformed. “He can’t walk on his paws. His front legs are in casts right now to help fix his bones and hold them in the right place. “It’s emotional to rescue dogs like Ping who have been so mistreated. “He’s a very friendly and loving dog. He seems to trust humans so much, despite everything he’s been through. “He can’t walk so he has to be carried in and out to the bathroom. He’s very dependent. 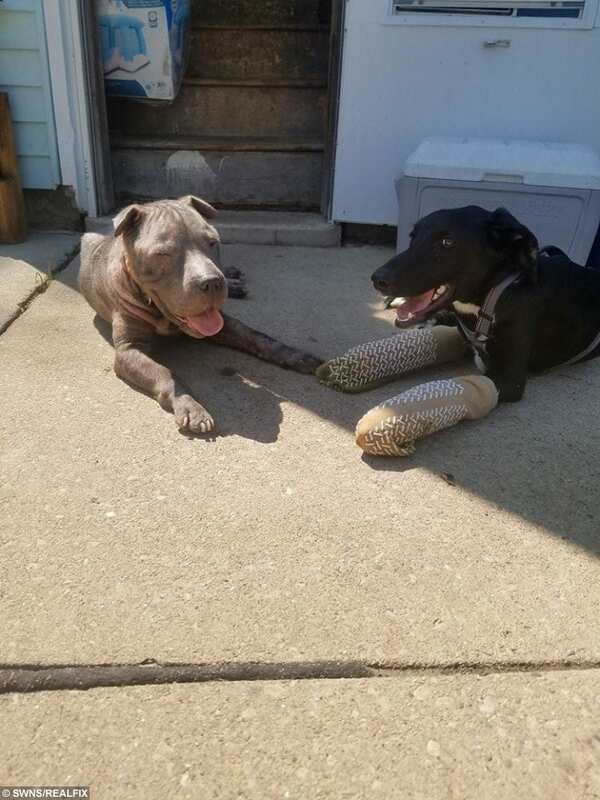 Ping is currently living it up at home with Terri in Plainfield, Illinois, and enjoying life with her five dogs Chance, Danielle, Blue, Pink, Magoo and cat Shimmer.